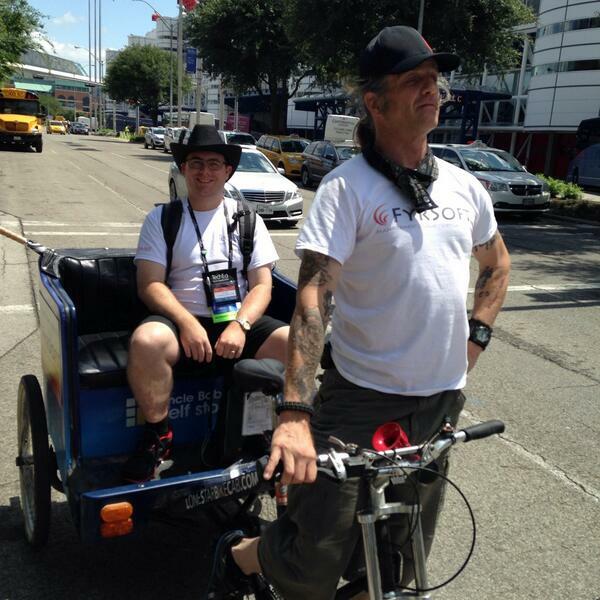 TechEd North America 2014 is now over. You can read about the first two days of my experience here. The second half wasn’t too different to the first half unsurprisingly, and there wasn’t a huge amount of excitement in the air. Wednesday morning started off slowly. There were a LOT of vendor parties on the Tuesday night beforehand, so maybe it was a difficult morning for many attendees. There wasn’t much to do as once breakfast was over, there were breakout sessions to attend (where you go into a room and listen to a presentation – one of the biggest parts of TechEd), but the Expo hall (where all the vendor booth are) didn’t open until 11am. I found it difficult to push myself to attend the breakout sessions because they were all available on the next day for free via their Channel 9 service. It’s a great idea from Microsoft but many attendees I spoke to shared the lackluster of going to these too, saying they could watch them online later. There were some highlights of sessions though. Anything with Mark Russinovich (creater of SysInternals) was highly talked about, and I attended “Case of the Unexplained: Troubleshooting with Mark Russinovich” which was really interesting to watch. I learnt that Nutanix offer a well priced sever based solution that’s half way between a single rackmount server, and a full chassis/blade setup that also uses shared storage between the nodes (i.e. blade servers). I’ll definitely be looking into that further from both a writing view as well as investigating for my place of work. After that, I explored the Expo again, speaking to more vendors. Yes there was a lot of goodies given away (generally called ‘loot’) but again according to other attendees, there was a lot less than previous years. I didn’t really try and came back with a suitcase full of novelties which my work colleagues will hopefully go through and find some cool bits and pieces to make up for my absense. Wednesday night came, and night time means more parties. I went to the Petri meet and greet where as the title suggests, I met and greeted another bunch of great people. After that the jet lag had gotten the better of me, so I went back to the hotel to order room service and pass out. Thursday saw the final of Speaker Idol. It’s a competition run by Microsoft in the American Idol format (apparently?) where people perform 5 minute presentations until a winner is chosen, and that winner gets to present a full breakout session at next year’s TechEd. Aidan Finn ended up winning (and he wrote about the experience here) who was highly deserving of the achievement, but so were the other presenters I saw. I had dinner with the friendly eNow mob who make reporting and monitoring tools for Exchange, Lync and others, as a +1 to someone who was actually invited. 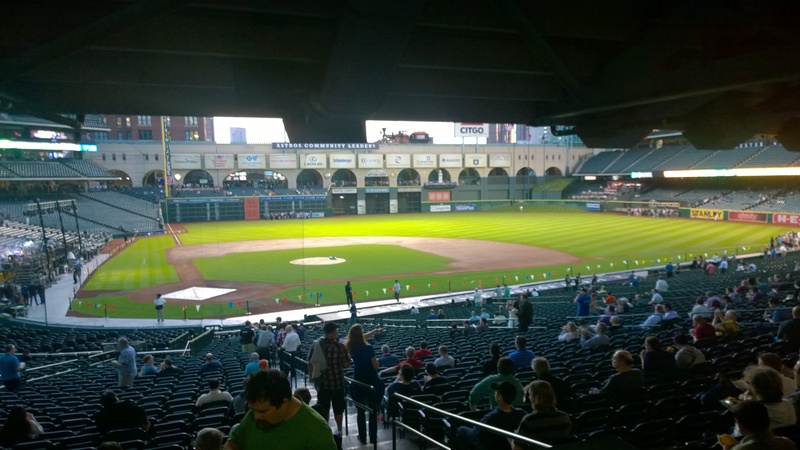 The closing event was held at the local baseball stadium: The Minute Maid Park. Not having been to an American stadium before, it was more of a novelty to me more than others. Jugglers, artists, many stadium type food stalls and a mechanical bull surrounded the outskirts while attendees took tours of the pitch itself and listened to the bands that played. Here’s the full list of everything that was available. Disappointingly I wasn’t feeling 100% due to a cold, otherwise I would have sampled some of the nachos covered in American liquid cheese – something rarely seen in Australia. Overall I’m really glad I went (I may not have been as positive on the very long plane ride home) as I met a bunch of great people – Particularly Kyle Murley and Phoummala Schmitt who both looked out for me, as well as Trevor Pott who convinced me to go in the first place. I made lots of new contacts, and had the opportunity to say hi to tech greats like Mary Jo Foley. Great to meet you at TechEd – thanks for coming by and doing a Nutanix deep-dive with me. You too Justin, and thanks for explaining it so well. Hopefully I’ll get the chance to actually work with your product!